Download our latest newsletter by clicking on the picture. Attention all Embroiderers! Spend the day with Diane and sew your own Anita Gooddesign projects. 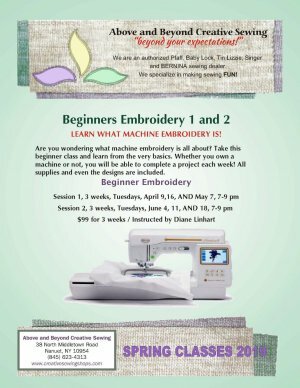 Learn basics and techniques in a group sewing atmosphere! Make projects from Anita Goodesign, Kimberbell, OESD, and more.